Photo by Heidi Walters John Vevoda runs an organic dairy in Ferndale. He is against Measure P: "It's not that I'm going to [grow GMOs].There's no way. But what if my children coming into the business wanted to?" Photo by Heidi Walters Robert Vevoda (left) helps his dad, John Vevoda (right), run their organic dairy. Robert's against a GMO crop ban: "I think there's room for it all. We just need to work together ... because we all need these markets, and we all need to take care of the consumer." Photo by Heidi Walters The Humboldt County Agricultural Commissioner's Office would be in charge of enforcing Measure P. Agricultural Commissioner Jeff Dolf (left photo) is developing protocols for the ban, and Bruce Bryan, (right photo), the organics inspector, would likely be the GMO inspector. 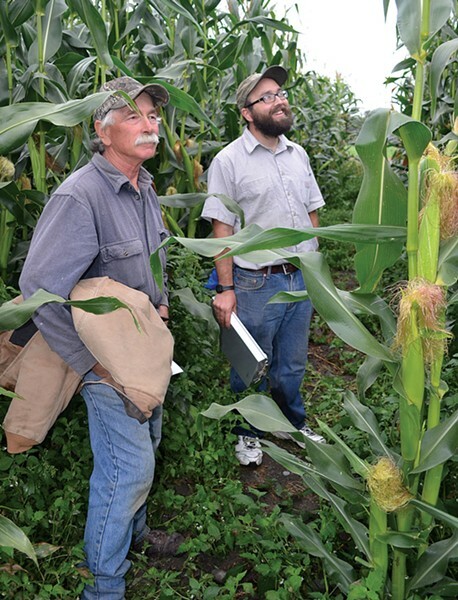 Photo by Heidi Walters Organic farmer Paul Giuntoli (left) of Warren Creek Farms, let Organic Seed Alliance's Jared Zystro (right) test organic silage corn varieties on his land. Guintoli normally grows organic potatoes, winter squash, dry beans and sweet corn. He's for Measure P: "You can build a fence to keep your neighbor's cow out but not to keep pollen out." Photo by Heidi Walters Residents were invited to examine the 10 varieties of organic corn silage being tested on a farm in Arcata for compatibility with Humboldt coastal conditions. Pro-Measure P supporters say some of these might be an option to GMO silage. Photo by Heidi Walters Although GMO vegetables are rare in Humboldt, some organic vegetable farmers for Measure P say it would give them an economic edge. Photo by Heidi Walters John Vevoda used to grow GMO corn silage for his dairy cows. Now he’s organic and says he has much healthier cows. But he says a GMO crop ban might confuse organics consumers. 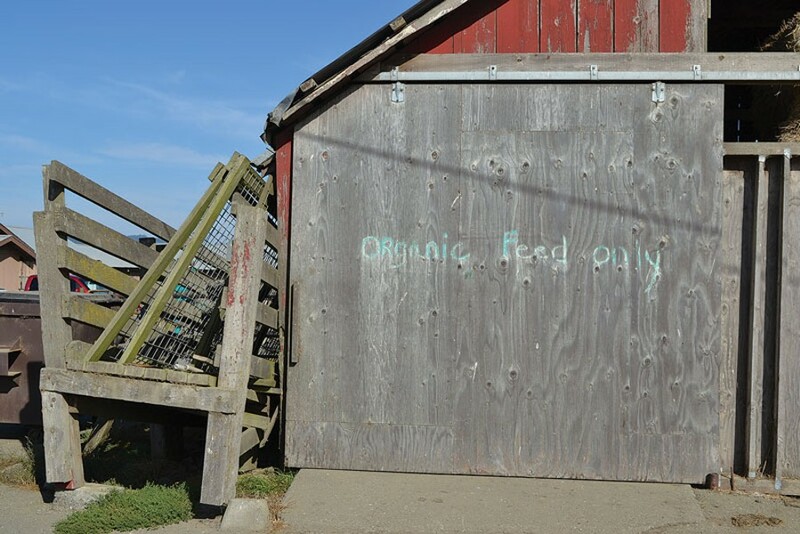 Photo by Heidi Walters A sign leftover from the early 2000s when the Vevoda’s were switching from conventional to organic farming. 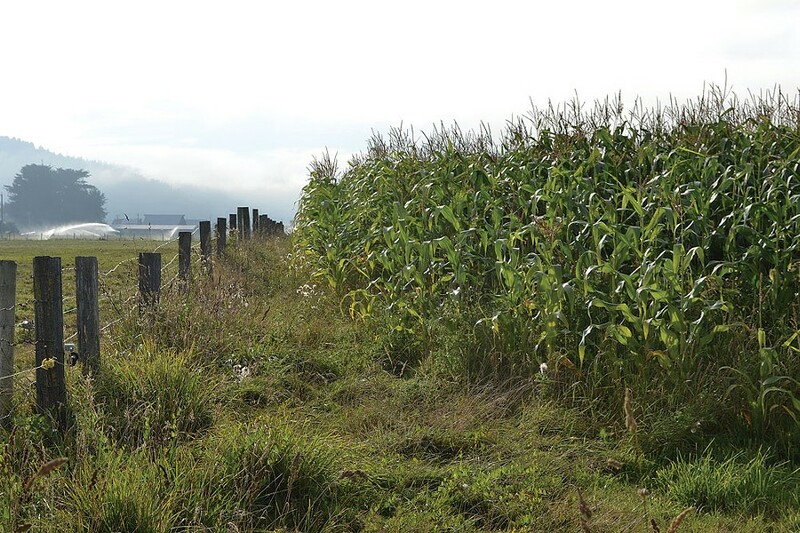 Photo by Heidi Walters A field of corn in the Eel River Valley. Is the corn genetically engineered? Is it organic? It’s hard to know unless the farmer — or a laboratory — yields the evidence. On a recent Friday night in September, less than two months from election day when voters will decide whether to ban the growing of genetically modified organisms (GMOs) in Humboldt County, Mark Wilson stood between a bright screen and his audience inside a lecture room at Humboldt State University. Wilson, a professor of microbiology and genetics at the university, was talking about the science and perceptions of GMOs and, specifically, something he calls "the art of misdirection." This, he said, is when people latch onto results from fringe studies — for example, he said, a since-discredited study in which researchers fed glyphosate, the main ingredient in the weed-killer Roundup, to rats naturally prone to tumors and concluded that glyphosate causes tumors. Or when people say herbicide use has skyrocketed since the advent of Roundup Ready corn, which has been genetically modified to resist glyphosate, but don't mention that it's mainly Roundup use that's risen, causing a decrease in the use of more toxic herbicides. And, Wilson said, it's when these opponents call any GMO-affirming studies biased and corrupt, performed by scientists funded by big corporate GMO creator Monsanto (most aren't, he noted) — but don't see anything wrong with promoting studies funded by organic-favoring, GMO-dismissing entities. Wilson argued these points back and forth with a few audience members, pointing at charts and other material on the screen while his opponents deployed their own arsenal of studies and findings. The heat rose and, finally, Wilson interrupted a man who was once again detailing the dangers of glyphosate. "What you're talking about is a bunch of nonsense," Wilson barked, and continued his lecture. Then a woman in the audience said that she'd like to know how Wilson feels about this stuff we are introducing "into our environment, into our only world." She went on, fervently, about flippant scientists and how we don't revere our world, and concluded with anguish over Wilson's discussion of bias. "You equate the special interests of organic with Monsanto?" she cried, then stamped her foot. "Are you kidding me?" Wilson said he wasn't kidding; he was simply pointing out that bias (and the perception of bias) can lurk anywhere. He wanted people to talk more honestly about GMOs, and more broadly — to discuss, for instance, the other GMOs not created by Monsanto that could benefit human and environmental health. The outrage provoked by his examination of the science and perceptions involved in the debate over GMOs is not unusual. Sometimes anti-GMO outrage has turned nasty: herbicide-resistant sugar beets destroyed in Oregon, rice engineered to contain Vitamin A — and perhaps fend off blindness in poor countries — ripped up in the Philippines. Into this science-intensive, emotion-roiled topic — to GMO or not to GMO — you, Humboldt voter, must wade if you want to understand Measure P before you cast a ballot on Nov. 4. Measure P, the "Humboldt County Genetic Contamination Prevention Ordinance," would make it illegal to propagate, cultivate, raise or grow any organism (or its offspring) whose DNA — deoxyribonucleic acid, the stuff in cells that carries genetic information — has been altered by genetic engineering. It wouldn't ban organisms derived through traditional breeding or hybridization, says the ballot summary. It would not prevent licensed health professionals from treating people. It would not prohibit research labs from doing genetic engineering research, as long as their experiments are contained indoors. And it would not prohibit the sale, distribution or consumption of genetically engineered human or animal food brought in from other places. The ordinance would take effect immediately after being voted in. However, anyone already raising genetically engineered organisms in the county would have until 2016 to, as the proposed ordinance puts it, "destroy and safely dispose of, or remove completely and permanently from the county" the offending organisms. Any violation would be considered a public nuisance and required to be removed from the county or destroyed, either by the grower or, failing that, the county. Reports of possible violations would be made to the Humboldt County Agricultural Commissioner's Office, the enforcer. Agricultural Commissioner Jeff Dolf says he is developing procedures to receive and investigate reports, in case the measure passes. In general, as required by the ordinance, his office would first examine evidence provided by a credible accuser — "We're not going to take anonymous phone calls," says Dolf — and notify the accused of the report. The accused would have 30 days to provide credible proof there's no violation, or, if there is, to prove it's been gotten rid of. The accused could ask for an additional 30 days to do either of these. If nothing is done or the reporting time passes, the commissioner would send samples of the suspect organisms to a lab to verify whether they've been genetically engineered. If so, the commissioner would declare the GMOs a public nuisance — a threat to health and safety — and destroy or remove them. "We don't know what the costs would be yet," Dolf says. "One of my concerns is the costs can be high at the lab, possibly several hundred dollars per test." Rollin Richmond, former HSU president and a geneticist, warns that it might not be possible to know, in some cases, what to test for. "You can test for Roundup Ready corn, because we know exactly what genes have been introduced to make it resistant to glyphosate," he says. But there might be other suspected GMOs whose genetic modifications are unknown. Proponents of Measure P say the costs of enforcement would be far outweighed by the costs of not banning the cultivation, raising, propagation or growing of GMOs in the county. And opponents worry about the future costs of removing what one local dairy farmer, John Vevoda, refers to as the number of tools in his toolbox. Backers of Measure P needed 4,387 valid signatures to get it on the ballot; they got 6,467. Judging by the several hundred endorsements listed on GMO Free Humboldt's website, the measure is driven by a large portion of the county's organic farmers — mostly those raising vegetables, fruits and nursery plants, but also some vineyards, livestock ranches and one dairy — as well as many of the consumers and sellers of their products. The North Coast Co-op, says Marketing and Membership Director Melanie Bettenhausen, polled its membership and found it "overwhelmingly" in support of the ban; the Co-op donated more than $1,000 to the cause and joined with two others, Chautauqua Natural Foods and Eureka Natural Foods, in a multimedia ad campaign. "There's some word of [GMO] alfalfa" growing in Humboldt, says Schaser, as well as a rumor of beets. But then, we only know if a farmer's growing a GMO crop if he or she tells us; no agency keeps track. 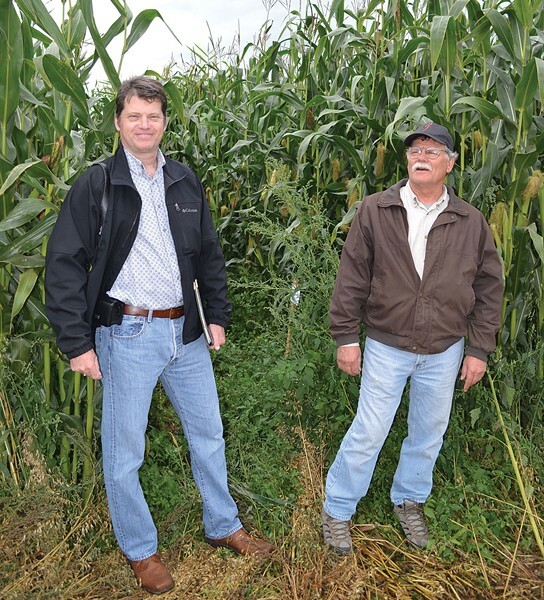 Some farmers talked openly about their GMO corn in 2004, during the first push for a GMO-growing ban in Humboldt — and violations of that ban would have led to fines and possibly even imprisonment. Poor wording, including an incorrect definition of DNA, and likely the harsh penalties as well doomed that measure. That said, not much silage corn, overall, is grown in Humboldt — just 227 acres in 2012, according to the U.S. Department of Agriculture's most recent census, a smidgen of the 593,597 acres total occupied by farms. 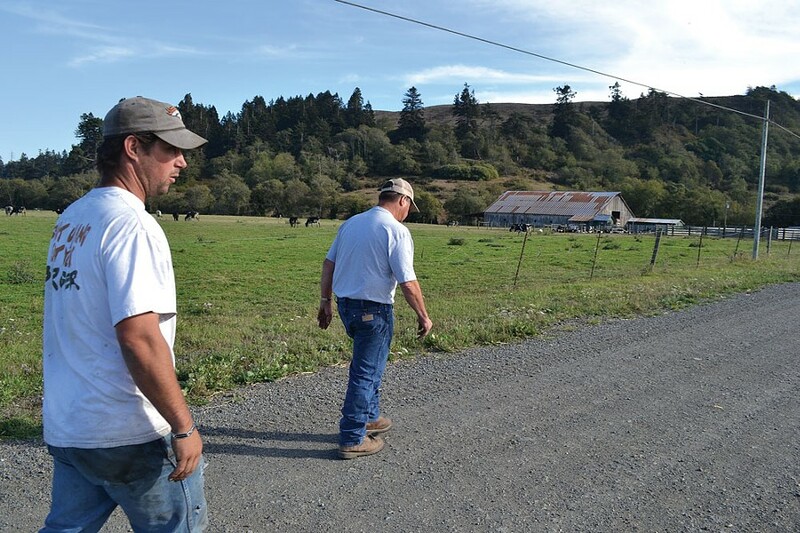 Local dairies rely heavily on pastures (which comprise more than 60 percent of Humboldt's farm acreage), and they import much of their supplemental feed. Nevertheless, dairy itself is big business here. After timber and livestock, dairy ranks third highest in annual gross value — even though, in 2012, only 62 of the total 930 farms in Humboldt were dairies. Milk products, as a commodity group, were valued at $73 million, compared with not quite $4 million for vegetables, melons, potatoes and sweet potatoes. 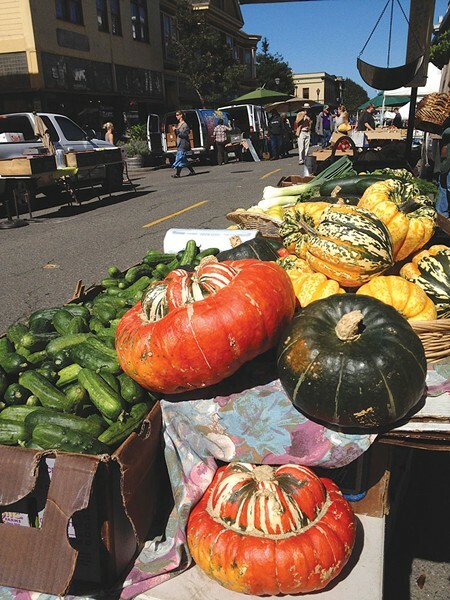 The total value of agriculture products sold in Humboldt in 2012 was around $203 million. Of the 62 dairies, 46 were organic — comprising a third of the roughly 135 total organic farms in the county. Most of the other 795 farms — the conventional dairies, livestock, nursery stock, field crops, fruit and nut crops and vegetable crops — are not growing GMOs. But the possibility is there, say proponents of Measure P. Other crops are in development, they say. (And one angry opponent to Measure P has threatened to grow GMO squash if the measure passes.) That poses what they consider to be a very real threat to Humboldt's growing organic community. Backers fear that GMOs can contaminate non-GMO crops, their genetically modified pollen carried by wind or winged creatures to neighboring crops. They say such contamination could result in a farm losing its organic certification. And even if contamination didn't occur, they say, the perception would be that it could. They worry about the effects of GMOs, and the herbicides used with them, on human health and the environment. Those are some of their chief concerns. Banning GMOs would eliminate those risks and consequently, the measure says, boost the economy "by helping local farmers maintain access to the growing markets for GMO-free and organic food." "We are a community that has really embraced sustainable agriculture," says Schaser, a retired Eureka High School science teacher. "There's a huge movement in community-supported agriculture. Every town now has a farmers market." Anything that cuts the legs out from under that growth, he says, he's against. A pristine Humboldt County, he says, would be a major selling point. Join a GMO-free Humboldt with Trinity and Mendocino counties (who both have bans, with Mendocino the first jurisdiction in the country to enact one in 2004), and that creates "a nice little zone," says Schaser. "It just gives us an economic advantage." Juan Gagne, perishables manager at Eureka Natural Foods, agrees. "It's a sales tool," he says, "if we want to have Humboldt County known as a very clean area where very high quality food comes from." It's like Fetzer Vineyards in Mendocino County, he says, which advertises that it comes from a non-GMO region. Blake Alexandre, of Alexandre Family EcoDairy Farms, says he's concerned about the perceived health dangers. "I don't think people should be eating GMOs," he says. "God don't make 'em and it's not natural and normal." 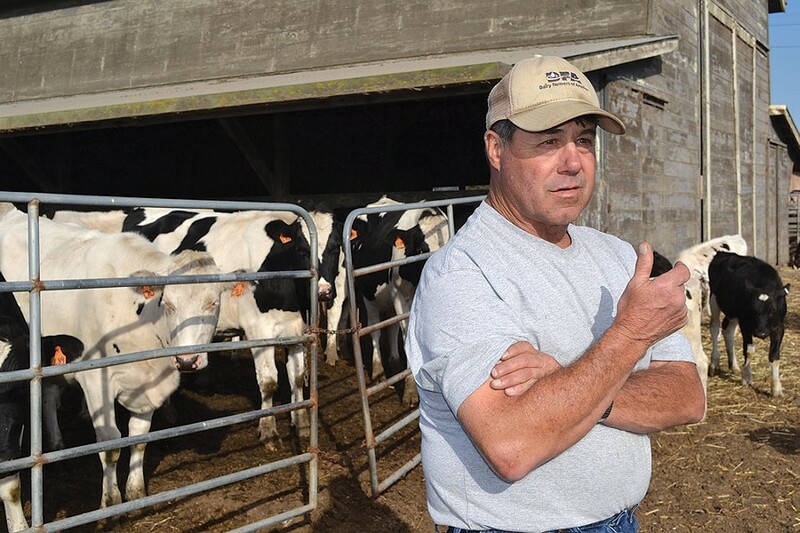 Alexandre has an organic dairy and raises organic eggs, with operations in Del Norte County as well as here in Humboldt where the family runs two dairies in Ferndale on about 1,000 acres. "We just believe in the organic philosophies and approaches to agriculture and simply don't believe that the GMO process is safe for food," he says. If Measure P passes, it'll be business as usual for the conventional farmers, most of whom don't grow GMOs. They'll be able to keep applying non-organic-approved pesticides and fertilizers and, if they're livestock or dairy farmers, buying supplemental conventional and possibly even GMO feed. But it will be tougher for local dairy farmers who want to grow, or keep growing, their own silage, because most of the seed varieties are genetically engineered. There are some non-genetically engineered seed varieties, however, and the Organic Seed Alliance has been conducting field trials of 10 of them on organic farmer Paul Giuntoli's Warren Creek Farms in Arcata. Most corn's bred in the Midwest, and the idea of the trials, says coordinator Jared Zystro, is to discover what varieties mature best in Humboldt's cool, coastal summer climate with enough yield and nutritional quality to be viable. If Measure P passes, will there be widespread tattling and bust-ups of non-complying crops? Hard to say. Mendocino County Agriculture Commissioner Chuck Morse says in the 10 years his county's GMO-growing ban has been in place, there's only been one report filed of a possible GMO violation, and it proved unfounded. In Arcata, which also passed a ban in 2004 that also makes it unlawful to sell genetically engineered seeds and crops, there've been no reported violations, says the city's environmental services director, Mark Andre. But neither of those locales, just like Humboldt, had much in the way of GMOs in the first place. Measure P love isn't hard to find. The anti-P camp is more elusive, with no website, ads or signs. It has, however, maintained a steady presence in the Mad River Union where pieces by Union co-founder Kevin Hoover, Wilson, Richmond and others have accused the anti-GMO people of poisoning discussion of GMOs with a fear-mongering focus on GMO foods and with confirmation bias, or looking for information, regardless of its validity, that supports their beliefs — in this case, that GMOs are dangerous. Also, there are the final speakers (including Wilson) in the GMO speakers series at HSU; they were added belatedly, according to the Union's Hoover, following complaints from Wilson, Richmond and others that the first speakers lined up by GMO Free Humboldt's Schaser were all anti-GMO and, Hoover said, "outlier scientists who dissent from the mainstream scientific consensus." Wilson, Richmond and others fret at how the GMO conversation too readily turns political with the invocation of the name of market-dominating megacorporation Monsanto. As a result, say Wilson and others, the potential benefits of GMOs not created by Monsanto are distrusted, dismissed, or sometimes not even discussed — like the vitamin A golden rice, genetically engineered insulin or the Rainbow papaya grown by small farms in Hawaii that's been genetically engineered to resist a virus that had wiped out that state's papaya industry. Still, what about those fears? Alison L. Van Eenennaam, who is speaking at HSU Oct. 3, is a geneticist who works in animal science at University of California Davis' U.C. Cooperative extension. She's become a prominent voice in the discussion about GMOs since 2004, when the first round of ban measures appeared on county and municipal ballots. A recent review she co-authored, published this September, looks at data on worldwide consumption by food-producing animals between 1983, 13 years before genetically engineered crops were introduced, and 2011. It concludes that there've been no ill effects or nutritional changes, no increased infertility or sickness, in the 100 billion animals that ate genetically engineered (GE) crops in the 15 years post-introduction. Most of the GE crops in the world are consumed by these food animals — animals we people eat, that is. And, here in the United States, most of our food animals eat GE crops. Reached by phone recently, Van Eenennaam said "there's literally thousands of studies" that have shown that GMOs are not dangerous. The world's major scientific societies, she says, have reached the consensus that GMOs currently in public consumption are no riskier to people's health, or to the environment, than traditionally bred crops and animals (including organics). Only the methods of their creation differ. Unlike the slower process of traditional breeding or hybridization, for instance, in genetic engineering one can precisely pluck one piece of genetic information from one organism and insert it into another organism's DNA — or put it back into the same organism in a way that causes it to express a different trait. It's more complex, and as Richmond laments, more difficult for scientists to explain in lay terms. Van Eenennaam cautions, however, that "you can't just say 'GE is safe.'" "That's too broad," she said. "That's like saying 'electricity is safe.' People who've been in the electric chair would disagree." But you can't say the less-modern methods of organism manipulation are necessarily "safe," either. People have been breeding organisms to select for specific traits, and creating hybrids by crossing two species (such as a horse and donkey to get a mule) for thousands of years. Both techniques mix masses of genes without precision. People also have, for more than 50 years, used radiation or chemicals to induce genetic mutations to achieve certain traits. These methods can sometimes produce, along with the desired traits, less welcome accompanying genetic changes (such as allergens). Genetic engineering, on the other hand, is precise, although it does require the use of bacteria, or other transfer mechanisms, to insert DNA, which also worries some people. What about the claim that herbicide use has increased with the advent of GMOs? It's true, she and others say: The herbicide glyphosate (Roundup) is used more often now that there are crops engineered to resist it. But, they say, Roundup can kill more kinds of weeds and is less toxic than the selective herbicides (that kill specific weeds but not the desired crop) conventional farmers previously relied on. Roundup, says Van Eenennaam, "is a very safe herbicide from an ecological perspective. And it doesn't have huge impact on humans; it has way less toxicity than coffee." It also eliminates the need for a farmer to till his land before planting, which cuts back on fuel use. Then what about crops bred to produce their own insecticide? Scientists say it's the same insecticide, composed of the bacteria Bacillus thuringiensis, that some organic farmers spray on their crops. And Wilson points out that even organic and conventional, non-genetically engineered plants can produce their own pesticides, sometimes toxic ones. And if weeds grow resistant to Roundup, or if pests become inured to insecticide-resistant GMOs, then farmers can alternate their control mechanisms, she says. "Plant Roundup Ready soy one year," she says, "then the next year plant a cover crop that's not Roundup resistant and control weeds with a different herbicide that takes out any volunteer plants that come up that are GE resistant." It's the same method, called integrated pest management, that farmers have used for years, long before GMOs came on the scene, to deal with pests and weeds that developed resistance to the sprays designed to kill them. Well, can GE crops contaminate non-GMO crops, through pollen drift? They can, says Van Eenennaam. But farmers can do what they always have done when they're afraid of cross-pollination from their neighbor's crops — talk to their neighbors and stagger their crop plantings so they flower at different times, for instance. "Certified organic seed producers have been doing this for years to minimize cross-pollination" from conventional crops, Van Eenennaam says, adding that "the USDA has said they will not decertify an organic grower who's taken reasonable precautions — like working with a neighbor — to avoid contamination." The Vevodas' dairy is far out in the fertile Ferndale bottoms where farm roads elbow-bend through lush pastures, pass numerous dairies and, occasionally, skirt by small oceans of corn with shining tassels. The Vevodas milk 550 cows and feed them primarily on a combined 580 acres of irrigated pasture and dry rangeland. The operation is organic. But the dairy used to be conventional, milking 1,000 cows and, for four years in the early 2000s, even grew some GMO silage corn. "I was probably the largest producer of GMO corn here, back in 2004," John Vevoda says. By 2006, the farm had transitioned to organic, a move Vevoda says he made because the price of organic milk is stable, unlike that of conventional milk which is traded on the commodities market. The farm is organic, but Vevoda, who manages the feed, and his eldest son, Robert, who takes care of the cows, are against Measure P.
"I want to be able to go back to conventional farming if I need to," John says, which likely would mean a return to using, and possibly growing, GMO corn for his cows. What if the drought continues or gets worse, and drought-resistant feed is developed that could help farmers through it? He wants such options to remain open to local farmers. He doesn't plan to leave organic farming, he says. He prefers it. His organic cows aren't producing as much milk as his conventional cows did because they're not being "pushed" with extra grain and hay. But they're healthier, living longer and having more lactations. An organic cow, he explains, has to go out and harvest at least 30 percent of her feed from pasture. "So she's out there, she's walking around, she's getting all kinds of exercise, sunshine, rain — and that has to be for 120 days," John says. "So she's not confined, and it just makes for better health." 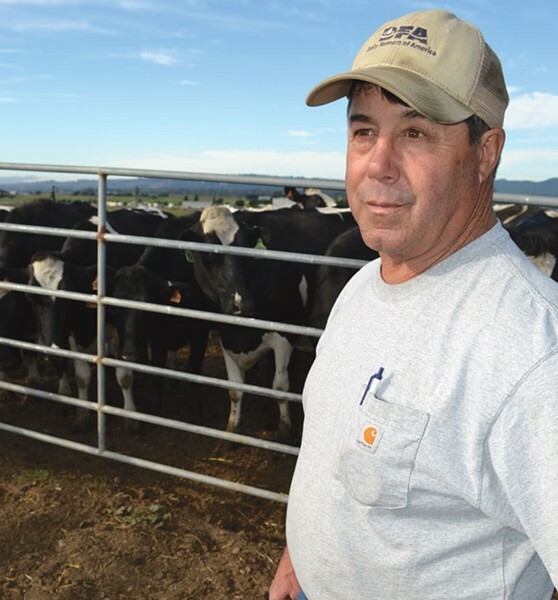 His conventional cows could produce milk for 4 1/2 years, he says. His organic cows last for eight. But he says neither he, nor anyone else, should get to tell another farmer — now or in the future — what he can grow on his own land. The option to go GMO should remain open. The Vevodas also say that a ban might actually hurt organic farmers. "I think it's going to decrease the value of our product because it will cause confusion for the consumer," Robert says. John explains this view: Once the ban's in place, word will get out that Humboldt County is "GMO free" and some consumers might assume that's the same as organic. So, they might unwittingly choose more of the conventionally grown (and cheaper) products — some of which might have been fed GMOs from elsewhere — over the true (but more expensive) organics. John Vevoda says instead of a ban, farmers worried about GMOs and having their crops contaminated by them should just do what organic farmers have been doing for years: have buffers, talk to their neighbors about when they're growing and when they're spraying. That's what farmers in San Luis Obispo County ended up doing after a GMO-banning measure failed there in 2004. Mary Bianchi, the county director and horticulture advisor for San Luis Obispo and Santa Barbara counties, says after voters rejected the ban, she continued to facilitate a working group that the agricultural commissioner had formed to come up with practices that would allow conventional, organic and genetically modified crops to coexist in the county. This led to a series of commodity-specific publications that growers can use as guides for getting along with each other. "Coexistence is not a new idea," Bianchi says. But it's been working. And, she says, nobody's pushed for a GMO-ban in San Luis Obispo County since. If Humboldt's ban fails, this is the sort of thinking critics of Measure P hope to see come forth. Sure, says Richmond, the retired university president and geneticist, even though GMOs have not been proven dangerous, the federal government could and should do a better job of testing foods — "all foods," he says, "not just genetically modified foods." And, he says, perhaps anti-GMOers could take a deep breath and acknowledge the potential and already realized benefits of genetic engineering. But that gets at the crux of these heated political discussions on GMOs, and at the heart of what makes such discussions so difficult, says Yana Valachovic, forest advisor and county director for the Humboldt and Del Norte U.C. Cooperative Extension. Valachovic emphasizes that she and her office haven't taken a side in the Measure P debate because they work with all farmers. And she finds compelling arguments on both sides of the issue. The challenging question that everything boils down to in the GMO debate, she says, is: "Are we are more concerned about the risks or more hopeful of the opportunities?"